Do you wonder sometimes, like I do, about where your own creative voice fits? And sometimes whether it does at all? If so, I want to tell you that your voice – no matter what it sounds like – is part of the rich ensemble that is life as we know it. I experience that every time I perform, and especially when I play with symphony, or ensembles – and especially when I hear the audience singing with me. You can hear an example of that in this new video from a small festival last summer. The song is called “You Have a Voice” and I got to sing it again with an audience of nearly 1000 in my recent performance in the great Northwest. 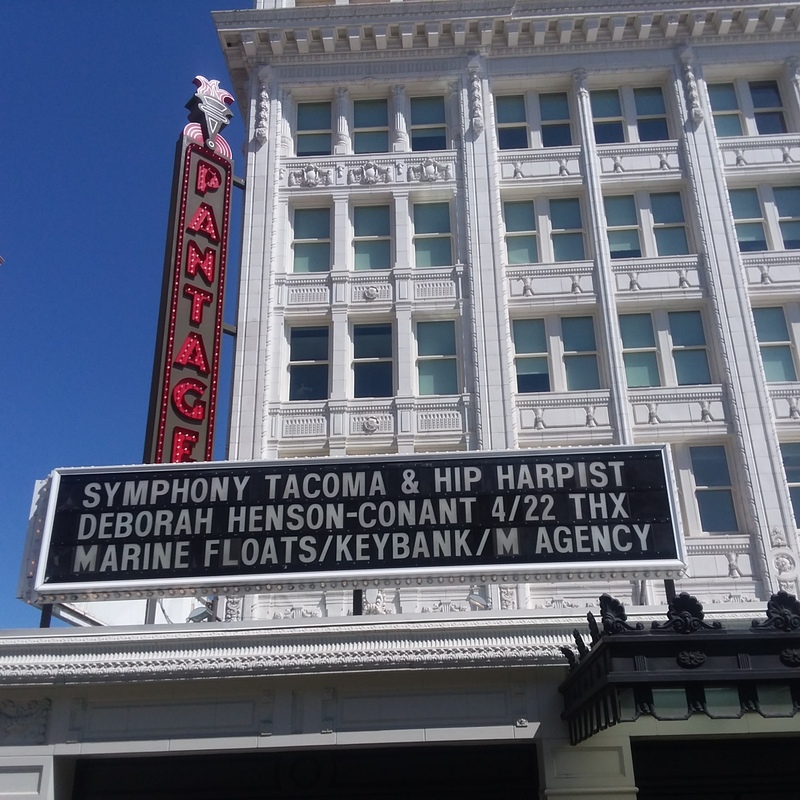 The image above is from that show with Symphony Tacoma and what you see in the background is what the audience actually saw (thanks to the Pantages Theater Lighting designer!). You can see more photos from this adventure here – a special “Earth Day” show with an unexpected appearance by the “Tacoma Harpbreakers” who played … and sang … along with me and the audience — Blues, Latin and oh so much more. But also because of the wonderful audience who filled the hall, and the families and friends of the HarpBreakers (and my own extended family) who have been sending me photos from both the show, the rehearsals, the after-show “Harp Petting Zoo” and so much more that happened so that I can share it with YOU and you can get a flavor of what a great adventure it was. And THIS is how being a composer takes me OUT of my cave and onto the stage — with symphonies and players who bring my inventions to life – because it’s that moment, when it all comes alive with audience, players, sound, lights, stage, volunteers, family, music-lovers – that’s when all those notes I put on the page become a LIVING, BREATHING, LAUGHING, MOVING CONNECTION between human beings. And I LOVE that I get to be right in the middle of all of that. 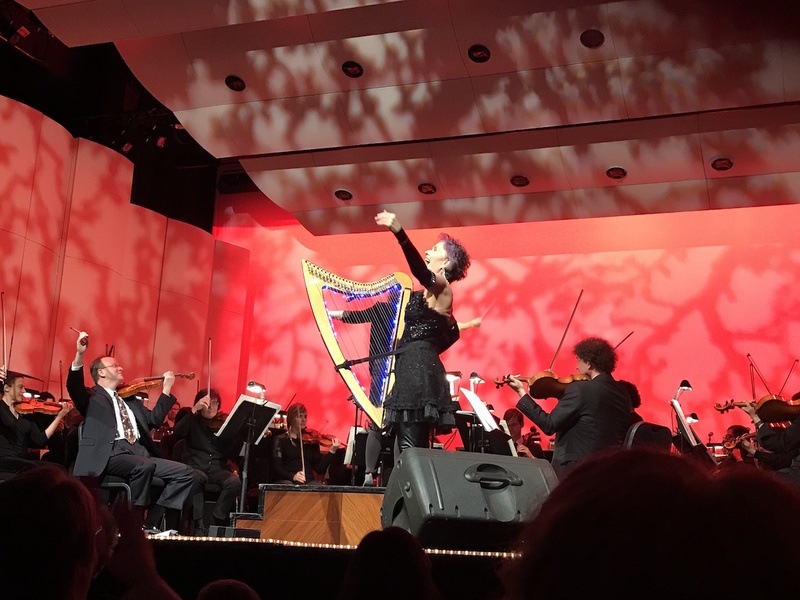 To share just a little taste of that, I created a blog post with just some of the wonderful photos I’ve been getting from audience member, family members of the Harpbreakers — and my own cousins who were at the show – Yay! It’s not often that my family is in the audience! See it HERE. I hope you enjoy that taste and I look forward to seeing YOU at my next show – on line or off!. And you wanna sing while you do it! Sing & Play with "3-Chord Magic"
Register for FREE Webinar REPLAY! 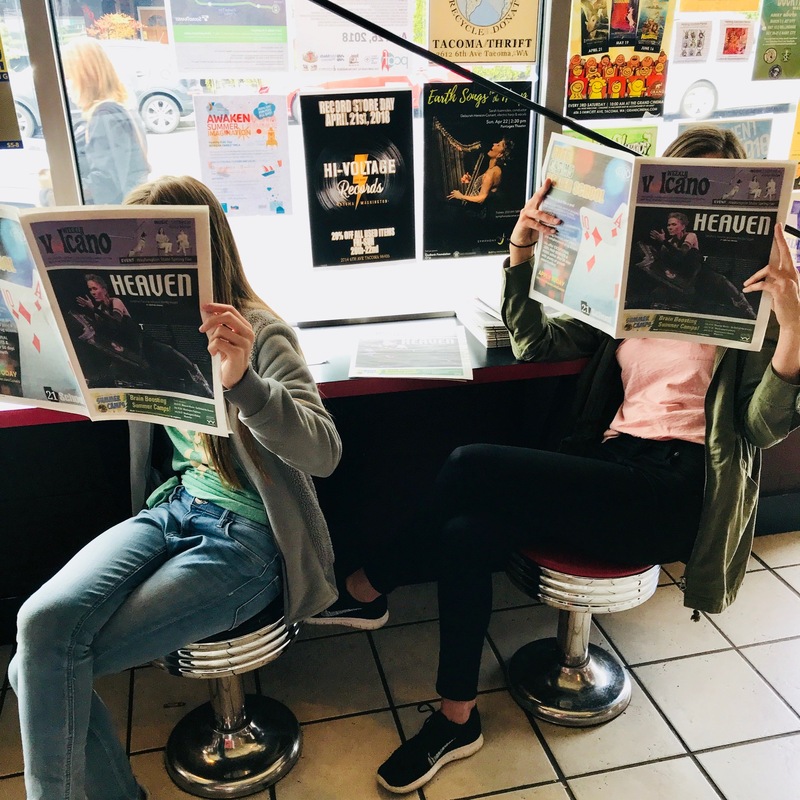 Hip Harp Academy - Register Now! Wanna Sing & Play the Harp? Register Now! It’s SPRING! 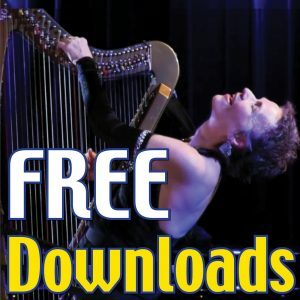 So SING… with your Harp! I’m so happy to see you! What’s the most powerful thing you learned as a child? Could you teach it? Wanna Sing & Play the Harp? Join the First to Know List! Be the first to know about new courses, freebies and more! Join DHC's first-to-know list.